Feng Shui is based on the idea that our environment is a mirror of what’s happening within. By seeing how a person interacts with their space, and equally how the space responds, we discover which aspects of this relationship are supportive, and which are not. Becoming aware of this relationship can help to build a bridge between that person and their best expression. From something as simple as de-cluttering, to the in-depth realms of Classical Feng Shui, a space can be altered in such a way that is supports its inhabitants. You can imagine how this giving and receiving between a person and their home or business creates a positive feedback circuit where only good can grow! What happens during a consultation with The Cosy Nook? With each package, whether it’s One Nook or The Cosy Nook Detox, I’ll look at your space and determine what is supporting you and what may be representing a block. Using the Bagua (an energetic Feng Shui map), the five elements, and Yin/Yang balance, I’ll show you how to create the most flow in your life. I’ll ask you questions about artwork, furniture, colour, etc., to determine what elements are the most supportive for you. One Nook, Two Nook, and Super Nook are based primarily on de-cluttering, key Feng Shui principles, Yin/Yang balance, and person-environment relationship. Going further, The Cosy Nook Detox is a very in-depth study using Classical Feng Shui which incorporates all aspects of Feng Shui as mentioned above, but also maps what would be akin to a home or business’s “astrological chart”. All at-home consultations include an energetic space clearing. For virtual consultations, I instruct how you, yourself, can space clear and walk you through the process at the end of the consultation, along with a sealing meditation. Who can practice Feng Shui? Everyone! Have you ever walked into a space, big or small, and knew instantly whether or not you felt comfortable? While you may not know it, you’re intuitively picking up on the Feng Shui of the space. The very easiest thing that can be done anywhere is to de-clutter. De-cluttering is a massive help in removing stagnant energy, and creating better flow. Everyone has the same reaction—and that’s a big breath of fresh air. It gets even more fun as you learn how to read, respond to, and influence your environment. It’s practical magic at it’s best. How does Feng Shui affect my every day life? Most of us spend at least 1/3 of the day at home. Those who work from home can be in one location up to 95% of their day! Even if you go to an office, you’re spending another 1/3 to half the day in one location. If you pick the top 2 or 3 places you spend the most amount of time in and are really honest about how these environments feel, you’ll get a big insight as to how they’re reflecting your internal world. With this in mind, what would happen if the top 2 or 3 places you spent the most time in made you feel … Amazing. Inspired. Joyful. Abundant. Peaceful. In Love with Life. This is what The Cosy Nook is all about. Classical Feng Shui is a mixture of astrology, reiki, and acupuncture—but for your home! Using the year a building was built, its compass direction, and the magnetic fields of the earth, something akin to an “astrological chart” for a home or business can be made. Just like every person has their own subtle energies, this astrological chart can reveal the subtle energies of a home or business. For instance, a home’s energy may be inherently supportive of new business growth, or it may be energetically fertile for pregnancy. Likewise, a business may have an energetic chart that makes it’s location supportive for travel, or it may be more supportive for it’s internal knowledge and skill building. With the mapping of these subtle energies, there will always be sections of a location that are very supportive and sections which are not. For the sections of a location that are not supportive, one or more of the 5 elements (water, wood, fire, earth, metal) can be suggested to help neutralise blocked energy. This is why Classical Feng Shui is like acupuncture. Metal is often a remedy for blocked energy, so adding metal to a specific location in a space can help to balance and re-align. Classical Feng Shui is very powerful and can help to unlock optimal flow. How long until I see results after implementing Feng Shui in my space? I always think that energy starts to move as soon as you become aware of it. I’ve had clients tell me that a couple days before our consultation, things already started to shift. In practical terms, moving furniture or de-cluttering will definitely start the shift and flow of energy. Depending on how long something that been in a particular pattern, or habits you have in your space, it’s likely you’ll continue to see positive results long after changes have been made! Space clearing is a way to clear the unseen energy of a space. Have you ever opened a closet that has been closed for a very long time and you get a wave of stale air? Or maybe after a difficult conversation with someone in your home or business, the sense of the room feels somewhat dense or heavy? This is because the energy is cluttered and it needs to clear. During a space clearing, doors and windows are opened to allow a fresh breeze to wash through. An herb called Sage is burned, whose smoke has ionising and anti-bacterial properties. Finally, harmonising chimes are rung to bring the space into full balance. 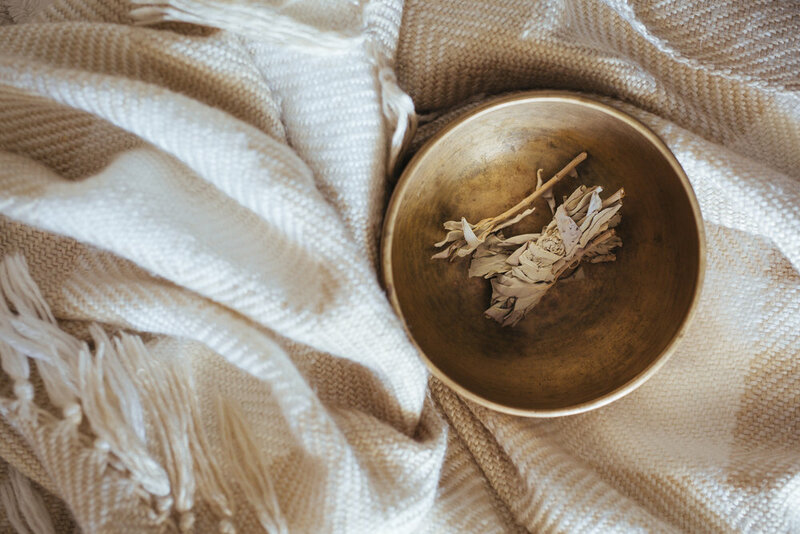 A Feng Shui check up can be beneficial for any big life changes, but also whenever you feel that you want to connect more with your environment and feel super supported. Classical Feng Shui alters slightly every year around the beginning of February, and yearly reports are offered at a discounted rate for existing clients.